Frank Daly left the priesthood to get married in 1978. After his wife died two years ago, he was allowed to resume his calling. In the basement chapel of Gate of Heaven Church in South Boston, the early arrivals — bundled against a bracing wind — have completed the rosary and rise in unison as the priest enters the sanctuary for the 9 a.m. Mass. Father Frank Daly is 74 now and, like many of the congregants before him, he’s the product of Irish immigrants. He looks the part, a familiar, friendly, white-maned man whose tone is soft and sure, whose homily is blessedly brief. He seems straight out of central casting, the Irish priest in a Boston neighborhood that still celebrates that heritage, except for one thing. When he raises the chalice of consecrated wine, the gold wedding band on his left hand fairly sparkles in the reflective light of candles. Frank Daly’s remarkable journey back to the altar of the Roman Catholic Church is the story of a thoughtful and accomplished man who studied theology in Rome, who baptized babies in Dedham and Sudbury, who fell in love and left the priesthood for a woman who became his wife and the mother of his two children. Thirteen winters ago, Maura Murray crashed her car on a sharp turn in N.H. When a cruiser arrived shortly after, she was gone. Read: The biggest threat facing middle-age men isn’t smoking or obesity. It’s loneliness. It’s also the story of bedrock faith and of a priestly calling that was coaxed back to life after the searing grief of his wife’s death two years ago. The second of four children born to immigrants from Skibbereen in County Cork, Daly had his first priestly gift conferred upon him in late 1967 at St. Peter’s Basilica in Rome, where he had studied at the North American College. His mother, brother, and sisters were there for his ordination as was his uncle from Ireland, Monsignor Michael Daly, witnessing his first steps into what would become a decidedly unconventional priestly life. He was just 25 then. The rhythm of the sacraments became the metronome of his young life. Baptism. Confession. Communion. Confirmation. Once, while visiting the death bed of an elderly woman who wanted to receive the Holy Eucharist, he blessed her. She told the young priest that she was from Castlehaven in County Cork. “I know Castlehaven,’’ the priest told her. “My parents were married in the church there.’’ The old woman brightened. 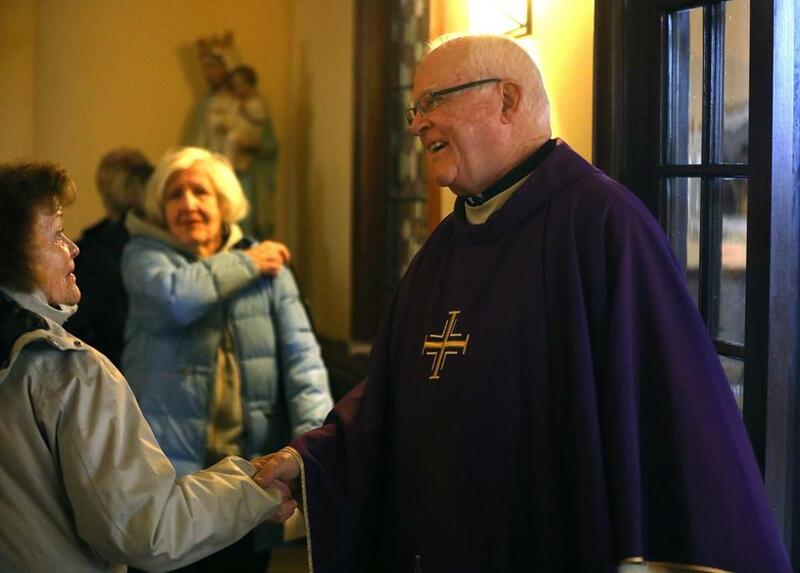 Father Daly was greeted after he celebrated Mass at South Boston’s Gate of Heaven Church. 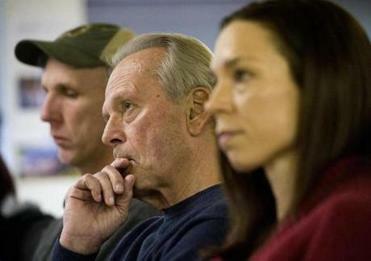 In Dedham, he met a parish family who made an impression. The Goulds. They had a daughter named Janice. It wasn’t until he was later serving in Sudbury that a different kind of calling began to take hold. She was attractive. They shared common interests. In fact, she had once been a nun, a member of the Sisters of St. Joseph. She was bright, not pushy. And she made him feel like no one else ever had. Their courtship moved slowly, cautiously. There were phone calls and dinners. On his day off, Father Daly and Janice Gould would meet to talk about their lives and hopes. His being a priest complicated things, of course. He went to California for further studies in theology. He also needed time and space to sort things, to make sense of a deep, developing relationship. “I thought it would give me a breather to work this whole process through in my head,’’ he said. He was being pulled by a force he did not expect. He wrote Janice often. He had fallen in love. They were married in a civil ceremony in early 1978. He had sought permission to leave the priesthood before the marriage, but was refused. He asked again afterward, won approval, and was married in the Catholic Church in the fall of 1981. He believed that his life in the rectory was behind him. He found work in the Massachusetts secretary of state’s office, where he served for a time as director of public records. He worked as a special assistant to US Senator Paul Tsongas and later led the business ethics program for the defense contracting giant Northrop Grumman. Their older child, Chris Daly, now an Army pediatrician in Texas, recalls a genial dad who carted him around to hockey games, a man who expected much of him but was also a gentle moralist. He told the story of the day he dreaded his dad’s return home, knowing he would have to admit to having smashed a window in the rear of their home with an errant fly ball. Frank and Janice Daly had the kind of easy, caring relationship that made an impression on their children even at a very young age. They went to church each Sunday. When the clergy sexual abuse crisis rocked the US Catholic Church, beginning in Boston in 2002, he was horrified. He had been classmates with some of the abusers. As a father himself, he felt sick for the victims. 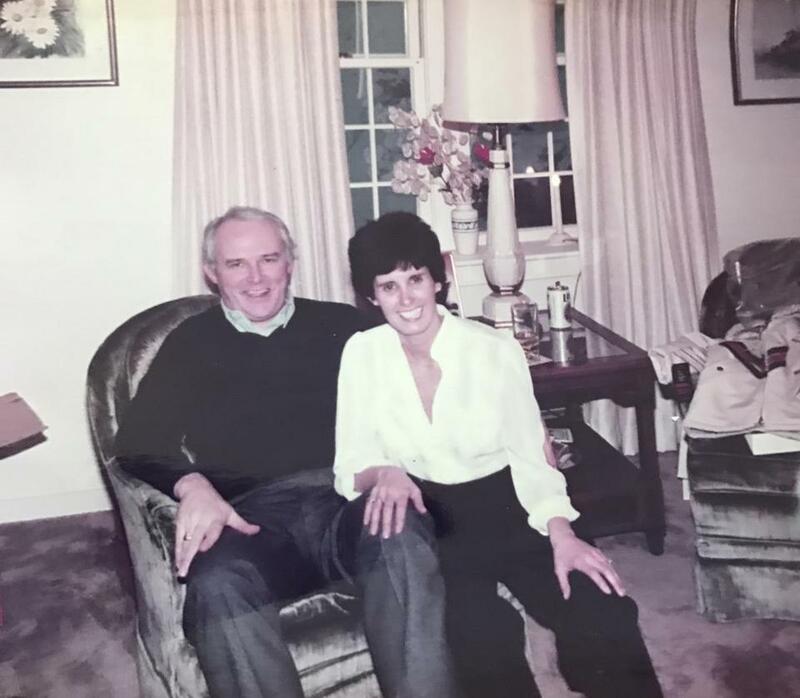 A photo of Frank and Janice Daly in 1984, six years after their marriage. Janice had once been a Catholic nun, a member of the Sisters of St. Joseph. In 2003, when Janice suffered a stroke in the middle of a Mass at the church of the Catholic school where she was teaching, it surprised no one when her husband became her omnipresent caretaker. She suffered left-sided paralysis, but cognitively she was the same woman. “She was very resilient and came back from the brink of death a number of times,’’ Father Daly said. There were daily outings. They’d drive to Duxbury Beach for a day in the sun. They’d spend an afternoon at the Derby Street Shoppes in Hingham, where he’d peruse books at Barnes & Noble and she’d check out the fashions at Chico’s. He was a constant presence by his wife’s side for 12 years until her death two years ago. Daly sought out his spiritual director and again tried to make sense of his life — his two lives actually. The arc of his thoughts bent back toward the priesthood, but he didn’t want to do anything that might seem to diminish his married years. “I had all sorts of things I had to work through,’’ he said. In time, his inner debate led him into conversation with officials of the Boston archdiocese. During the academic year he spent at Pope St. John XXIII National Seminary in Weston, a petition process wound its way through the Vatican bureaucracy, a process whose outcome was hardly a slam dunk in a church that is desperately short of priests but also cautious about change. Only just recently has Pope Francis renewed the idea of allowing married men to be priests. Mary Gautier, senior research associate at the Center for Applied Research in the Apostolate at Georgetown University, said that while it is not uncommon for widowers to enter the priesthood, Father Daly’s return to the altar after giving up his collar to marry is uncommon to say the least. “This is the first one that I’ve heard of,’’ she said. He was at home on the day before Thanksgiving last year. It was his birthday. The phone rang. “Is this Frank Daly?’’ said the deep voice he instantly recognized as that of the archbishop of Boston. 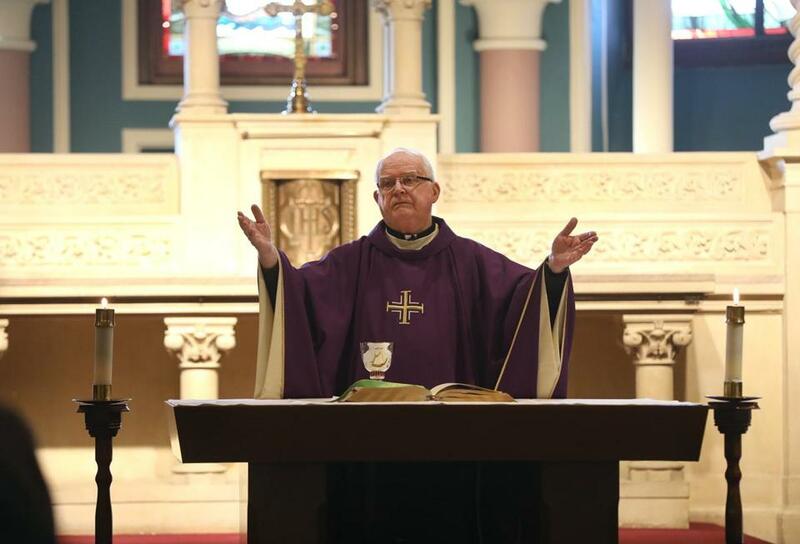 Father Daly celebrated Mass at Gate of Heaven Church. The following Monday, Frank Daly arrived at the rectory at the Cathedral of the Holy Cross in the South End. He was vested in an alb and, after the gospel, Cardinal O’Malley administered the oath of fidelity. And then, once again as the Rev. Francis J. Daly, he said Mass with the cardinal. Later, at the rectory, Father Daly deflected a suggestion that his uncommon career trajectory makes him a better priest. 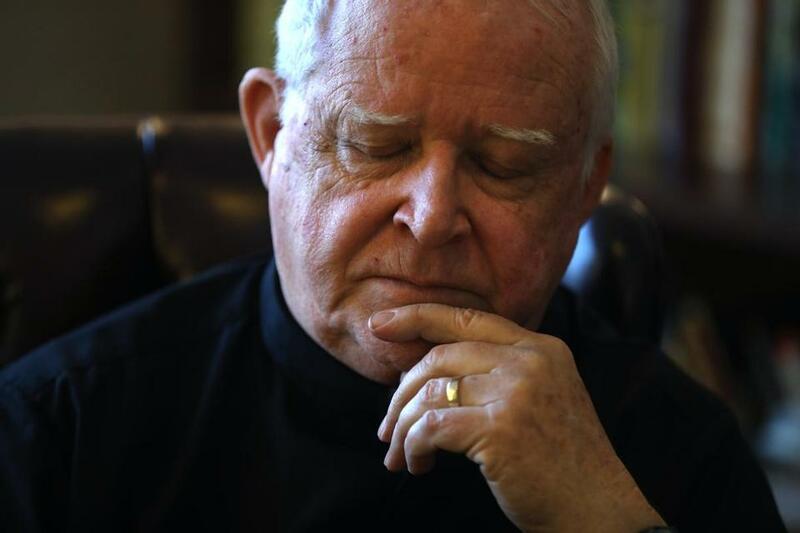 Father Daly, the grandfather of five, is getting a new title soon. He’s been named pastor of Our Lady of Sorrows Church in Sharon. He starts there on June 1. And on Saturday morning, his children were with him as he celebrated Mass at Holy Family Church in Duxbury, marking the second anniversary of his wife’s death. It was an emotional day and a proud one for the kids he raised, a son and a daughter who have known Frank Daly as father longer than anyone else.